When participating in sports-related activities, wearing glasses can possibly lead to a visit in the emergency room in the event that it shatters. Similarly, wearing contact lenses may also lead to eye irritation and possible eye infections in the event that debris or dust gets stuck under the lenses. By going through laser vision correction surgery, these risks are avoided and keeps you comfortable during these activities. Using glasses when participating in the aforementioned activities can be a distraction to the experience, as glasses tend to fog up and slip down your nose. Most prescription glasses also come with lens that limit peripheral vision, which hinders full awareness of one’s surroundings. Although contact lenses seem to solve those problems, it has its own downsides as it tends to dry up easily and strain the eyes. 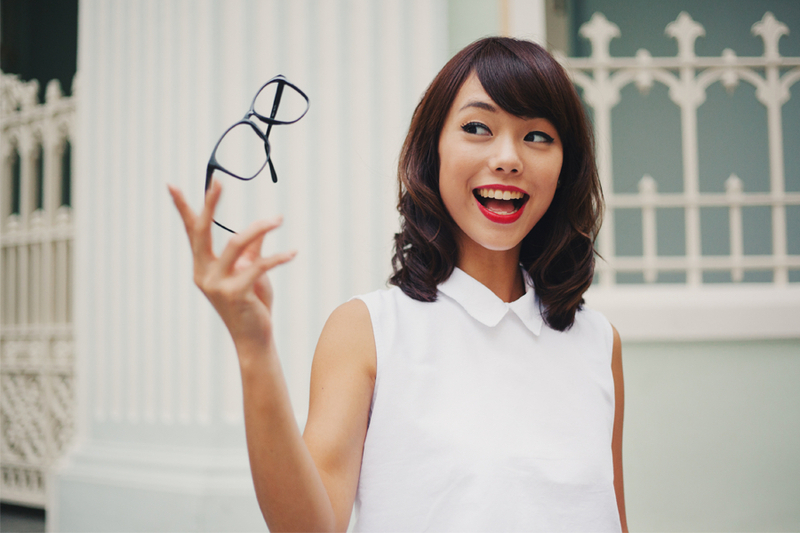 With laser vision correction surgery, you don’t have to worry about these things anymore! An eyesight condition whereby you can see nearby objects clearly, however distant objects are blurry. This is because your eyeball is slightly longer than normal, and the cornea curves too sharply. An eyesight condition whereby you can see distant objects clearly, but nearby objects are blurry. This is because your eyeball is slightly shorter than normal, and the cornea is too flat. An eyesight condition that causes blurry vision in general. This occurs when the cornea is not evenly curved, thus disallowing light rays to be refracted properly, leading to distorted vision at near and far distances. Age must be above 18 years old. Patients below 21 years would also need parental consent to proceed with surgery. Different types of laser vision correction surgery differs in terms of the maximum degree it can correct. In general, the surgery may not be able to fully correct an extremely high eye degree. If you suffer from severe nearsightedness or have been diagnosed with a high refractive error, it may be risky to proceed with the surgery as well. If you wear contact lenses on a daily basis, you have to stop wearing them before the baseline evaluation to avoid inaccurate measurements and a poor surgical plan, resulting in poor surgery results. This is because contact lenses change the shape of the cornea. Avoiding contact lenses and opting for glasses during the days leading up to the surgery as well would be best to allow the cornea to assume its natural shape. For soft lens, stop wearing 3 days before your appointment and 10 days if you are wearing hard lens. Your doctor will advise you to temporarily discontinue the use of perfume, lotions, creams or make-up around the eye as well. Depending on the type of surgery, most laser vision correction surgery takes less than half an hour to complete. Generally, you will be asked to stare at a light to help you keep your eye fixed on one position once the laser comes into the process. It is normal that your eyesight will not be fully perfect immediately after surgery, with different types of procedures leading to different healing periods. After the procedure, you may experience discomfort in your eyes and even mild pain. You may be suggested to take mild pain relievers, and may be given eye-drops to take at home to help prevent infection or inflammation.